Our Classic Shaker style Dining Room Chairs possess an unrivaled grace and elegance. Shaker furniture has a graceful lightness of spirit that will bring a calming, reassuring harmony to your home. These solid wood Classic Shaker dining room chairs feature a design that never goes out of style, with structural integrity that will never falter or waver. 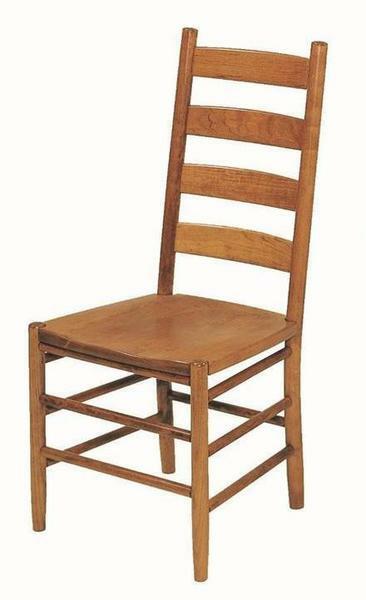 Each Shaker Chair on DutchCrafters is handcrafted to order in America – by the renowned Amish furniture artisans of Pennsylvania. You can customize this superior American dining chair with your preferred choice of hardwood, your preferred finish choice, and choose to add arms or an upholstered seat. This stunning Shaker dining chair is built from 100% premium North American hardwoods and backed by the Keystone Collection Lifetime Guarantee.